London, England – October 24, 2017 (DattoCon London) – Datto, Inc., the leading provider of total data protection solutions for businesses around the world, today announced the availability of Datto Networking for European Managed Service Providers (MSPs). Unveiled during DattoCon London, the largest gathering of MSPs in Europe, Datto Networking is the most MSP-centric product line available. Designed for MSPs, Datto Networking includes powerful WiFi access points, cloud managed PoE switches and a robust network security appliance with fully integrated unlimited 4G LTE failover – all simply managed in the cloud via Datto’s Partner Portal. In addition to the Datto Networking announcement, Datto revealed several updates to its backup and business continuity solutions at the event. The Datto Networking product line addresses the common challenges MSPs face when trying to deliver networking products as managed services. Created to specifically meet the unique needs of MSPs and how they work, Datto Networking offers a centrally managed, multi-tenant device view through Datto’s Partner Portal, consolidated and synchronized billing, and 24x7x365 Direct to Tech customer support. Datto Networking is expected to significantly increase market opportunities for Datto partners across Europe by providing MSPs with an offering that is easy to deploy and manage while delivering great value. 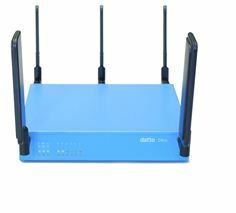 Datto Networking WiFi – Datto Networking WiFi features the next generation AP42 quad core 802.11ac wave 2 access point fully managed in the cloud. With rapid deployment options, just-plug-it-in installation, auto meshing and auto-optimization features designed to continually fine tune WiFi performance, Datto Networking WiFi delivers the performance SMB customers need, with a management interface optimized for the MSP. Datto Networking Switches – Datto Networking Switches deliver robust Layer 2 management features and are easily configured and managed from Datto’s Partner Portal. With fast backplanes, PoE budgets ranging from 55W to 740W, easy installation and cloud-based remote management, Datto Switches seamlessly integrate with Datto Networking WiFi access points and include PoE+ (802.3af/at) on every port. Datto Networking Appliance – The Datto Networking Appliance is a cloud managed router, firewall and WiFi appliance with fully-integrated 4G LTE Internet failover. Launching globally today, the appliance features intrusion detection and prevention and cloud management. By using the Datto Networking Appliance, MSPs can greatly reduce their truck rolls because businesses are able to stay online even when ISPs do not. Hyper-V is now a supported Virtualization platform for both backup and restore. In addition, Screenshot Verification is supported for Hyper-V, and VHDX has been added as a full system export option. Remote Web 2.0 updates to the device management console with globally distributed gateways on standard ports so MSPs can connect to deployed devices faster, with fewer configuration challenges. Protected systems running in failover virtualization now include the option to add a Rescue Agent, enabling seamless backups with the check of a box. This integrated feature enables more efficient failover and faster failback and provides failback flexibility, testing, and expanded failover options. Fast Failback leverages the Rescue Agent to reduce downtime during failback scenarios to a single reboot, allowing MSPs to choose a failback window. Agent Rename allows self-service access for IP and Hostname updates, leading to fewer support calls and faster resolutions. All Datto devices have been upgraded to the current Ubuntu 16.04 LTS version, ensuring they remain supported and secure, and setting the foundation for performance upgrades, expanded hardware support, and new features. Partner Portal Upgrades: Datto’s integration with ConnectWise Manage has been completely rebuilt using ConnectWise’s REST API for faster load times, more reliable alerting, and a redesigned UI. Reporting for networking devices is now available and integration of Datto Networking products with ConnectWise Automate is currently in beta. In addition, partners can now take advantage of client-managed options for networking through the partner portal. Datto SaaS Protection: Built on a revamped cloud architecture to dramatically improve backup, export and restore speeds, Datto SaaS Protection for Office 365 2.0 is now available to partners globally. This includes Exchange Online, OneDrive and SharePoint capabilities. Datto also announced the upcoming availability of G Suite with Google Team Drives on SaaS Protection 2.0 in Q4. All SaaS Protection 2.0 products provide automated 3x daily backups, point in time restore, enhanced search functionality and multi-admin support. With the addition of Team Drives protection, Datto SaaS Protection for G Suite is now the most robust backup, restore and export solution for G Suite on the market today. DattoCon London brings hundreds of MSPs together for two action packed days of technical training and educational sessions designed to help them better run and grow their businesses. The conference takes place October 23rd through the 24th at the Hilton Metropole in London. For more information about Datto Networking, visit https://www.datto.com/uk/networking. Datto protects business data and provides secure connectivity for tens of thousands of the world’s fastest growing companies. Datto’s Total Data Protection solutions deliver uninterrupted access to business data on site, in transit and in the cloud. Thousands of IT service providers globally rely on Datto’s combination of pioneering technology and dedicated services to ensure businesses are always on, no matter what. Datto is headquartered in Norwalk, Connecticut and has offices in Monroe, Rochester, Boston, Portland, Toronto, London, Singapore, Sydney, Frankfurt, and Amsterdam. Learn more at www.datto.com.